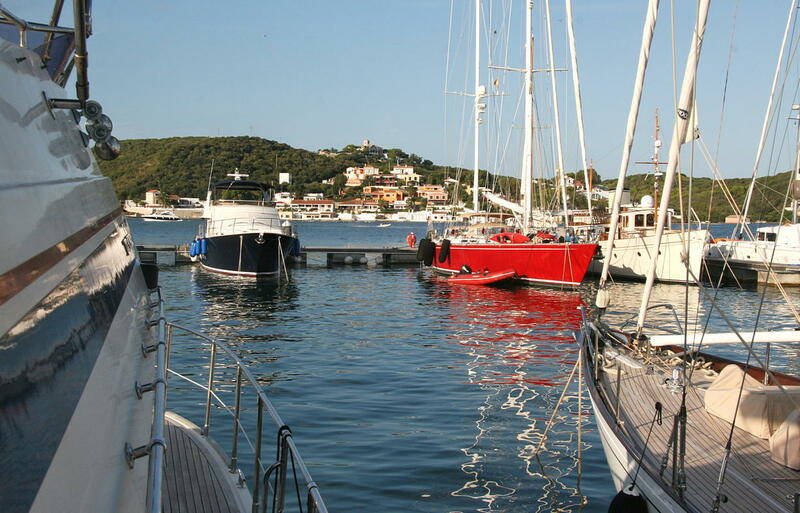 >> Cruise 2011 "From Falmouth to Menorca"
>> Cruise 2012 "Mediterranean Islands voyage - from Menorca to the Islands of Dalmatia"
* To view or download cruise reports on this page click the links to the Logs within the text. Logs are PDF documents. You may wish to use the free Adobe Reader. * Links under geographical names are to Google maps or Wikipedia. 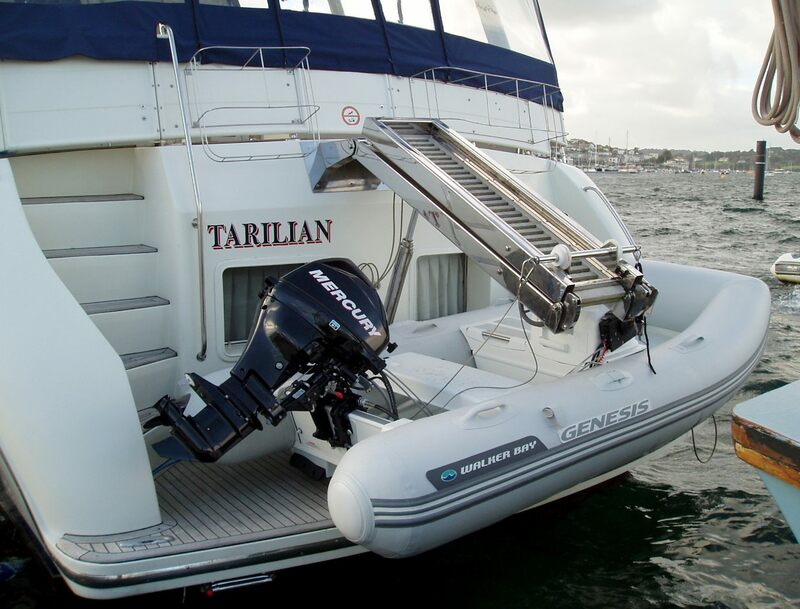 'Tarilian' is a Trader 535 Signature, a traditional 53.5ft (16.3m) semi-displacement flybridge motor cruiser with spatious aft cabin and aft deck. 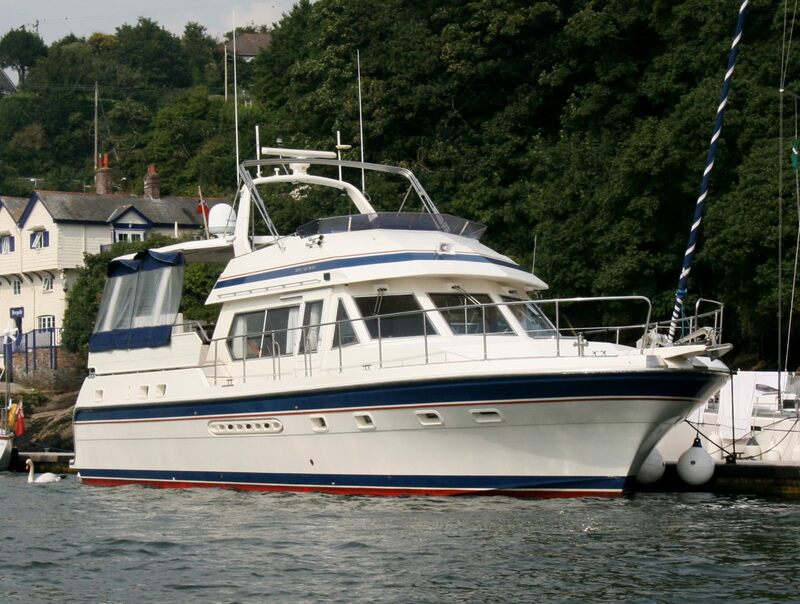 I bought the boat from her first owner and had her refurbished and upgraded in Falmouth. Tarilian had spent her time cruising in Spain, so was generally equipped for Mediterranean cruising. More details and photos of the boat are on my Tarilian Trader535 page. Here are a few images from the first season we had the boat in Cornwall. 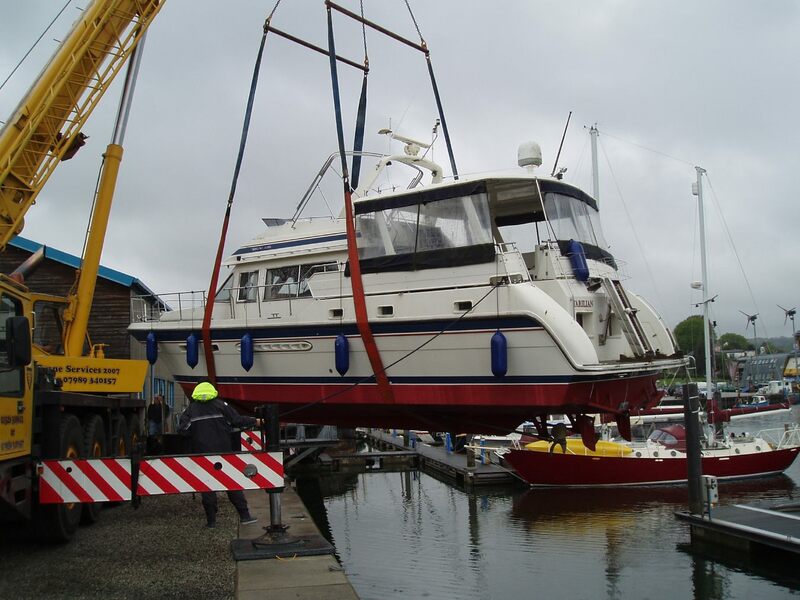 Tarilian is being launched, after her long storage at Falmouth Yacht Brokers' yard, in May 2010. 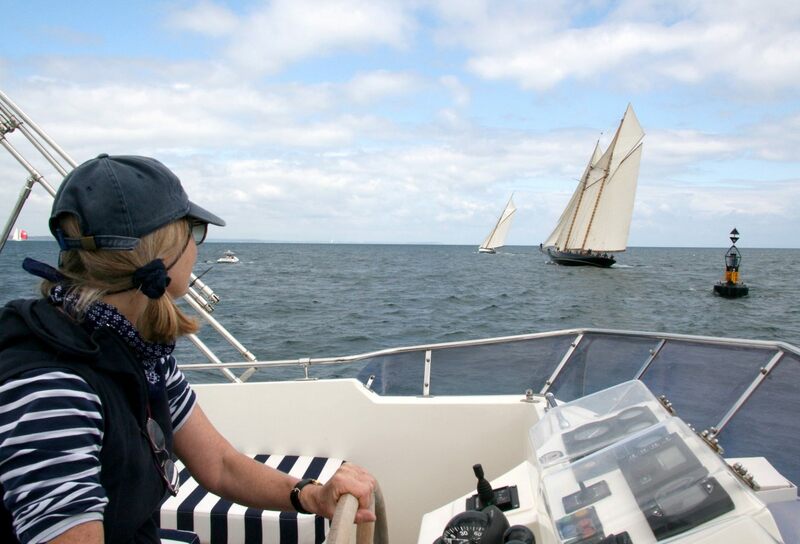 Jane watching yachts racing in the Pendennis Cup as they round the Menacles buoy. 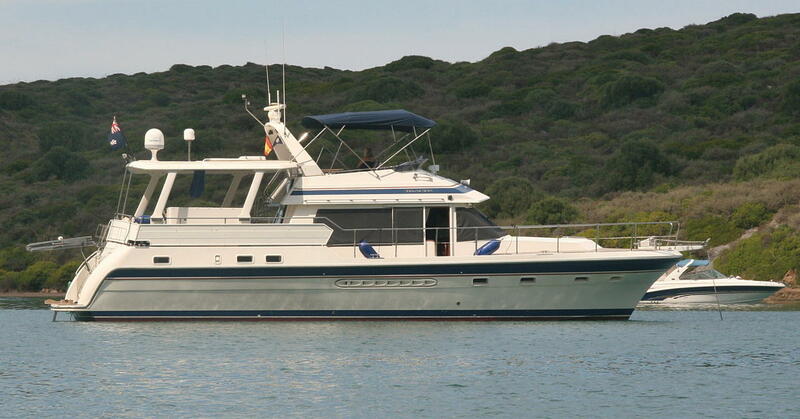 'Family yacht'. Suits the grandchildren and has got a bathing platform waiting for the right weather. With new covers, preparing to go to sleep in late autumn. 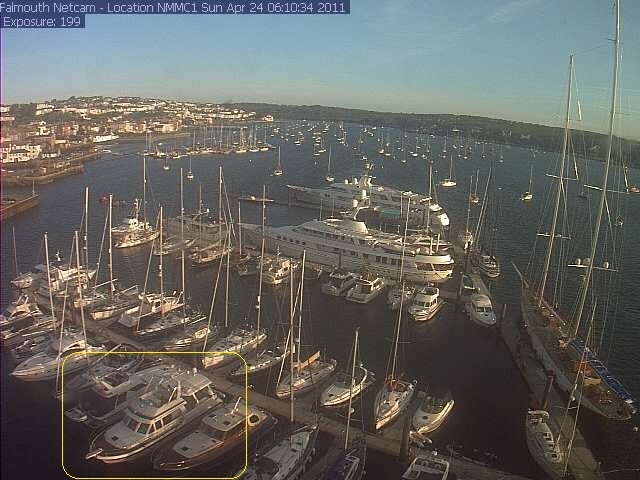 Stored ashore at Falmouth Boat Yard. Being lifted in the course of stern gear work in spring. The new season has started and the boat is, after a few complications, ready to go. 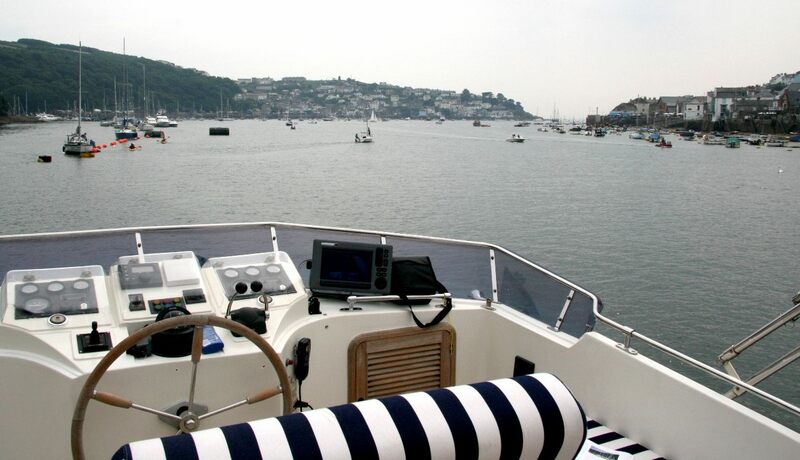 On Easter Sunday, April 24th, we set out from Falmouth for our journey 180deg South. April 25th, after a direct crossing of nearly 30 hours we arrive at La Rochelle. The plan had been to transfer the boat to La Coruna, but crossing the bay of Biscay the following night we encounter a serious technical problem on one engine's turbo, and decide to approach the nearer port of Santander. 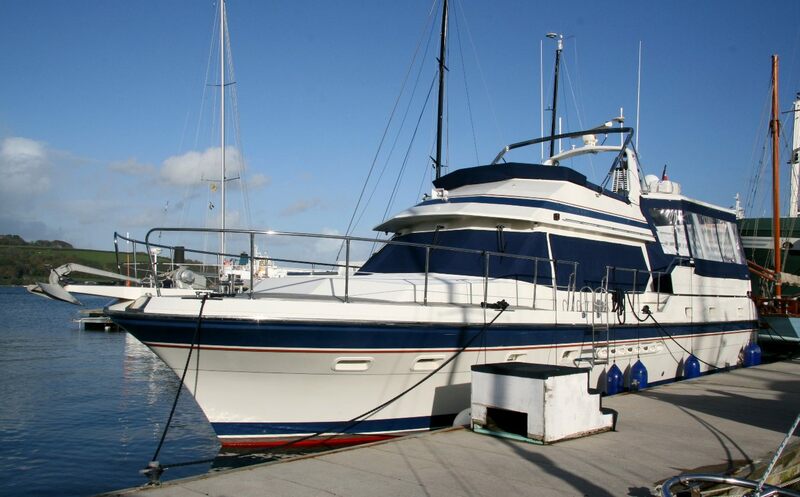 Here the boat will stay in the secure marina and be serviced by Volvo engineers to be ready for our long summer cruise. In June 2011 we start our journey from Santander to the Med, following the Atlantic coast around the Iberian peninsula. The first part along Galicia's coast includes visits to its Rias; then all the way South along the Portuguese coast, visiting Porto and Lisbon; subsequent highlights include the Algarve, finally reaching Andalusian Spain and our intermediate destination of Gibraltar in July. Based on my blog at the time, I put together a cruise report of the journey with photos. 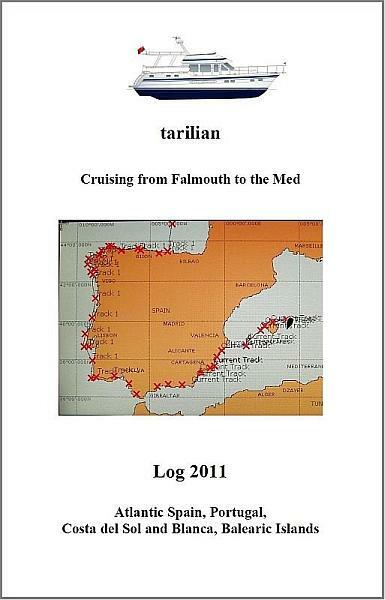 View the first part of the cruise report, Log 2011 Part 1 "Falmouth to Gibraltar" (pdf 11MB). In August Jane and I return to Gibraltar and set out for the second part of our 2011 journey to the Med. 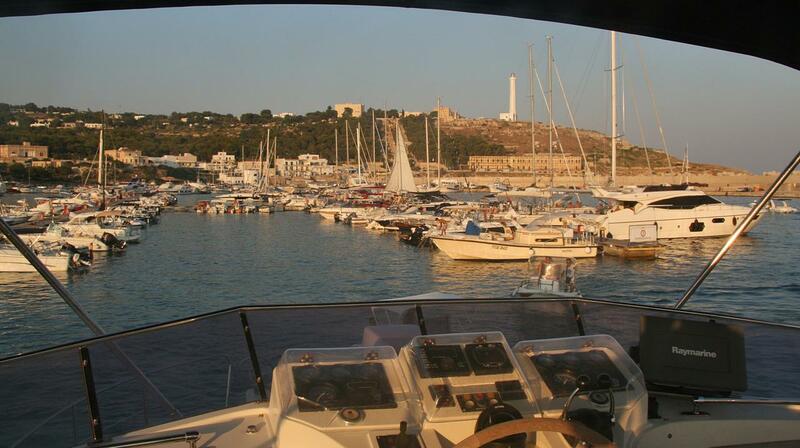 This leads us along the Costa de Sol and Costa Blanca to the Balearic Islands, with the final destination of Menorca. 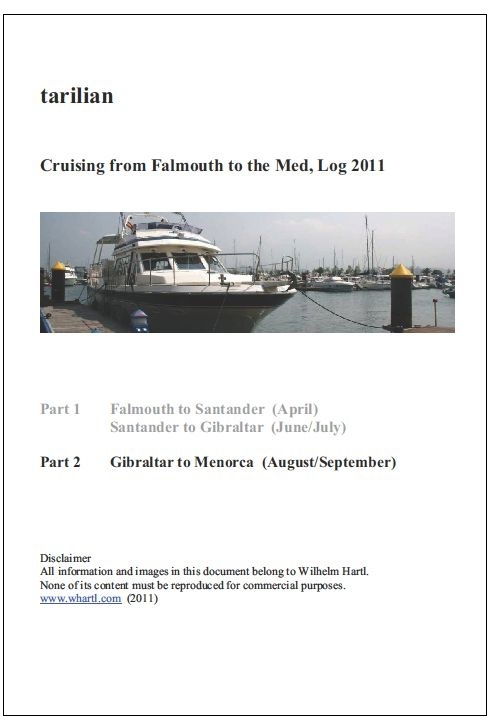 Here is the second part, Log 2011 Part 2 "Gibraltar to Mahon"(pdf 13MB). 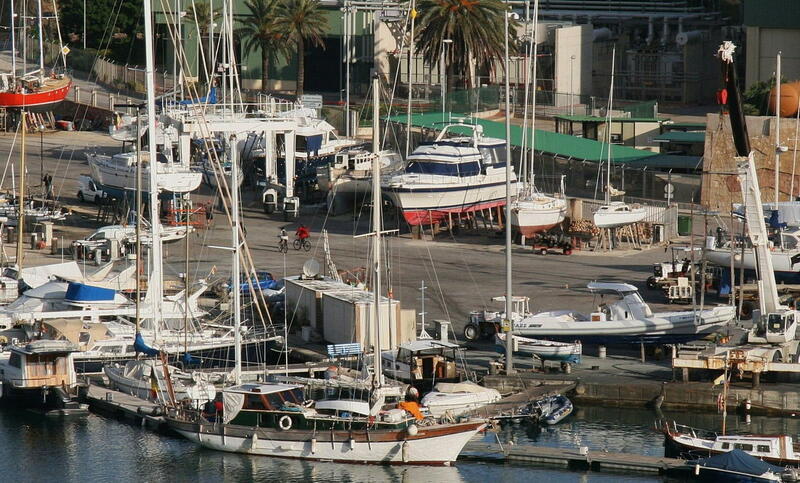 Over the winter Tarilian stays at Pedro's Boat Yard in Mahon. 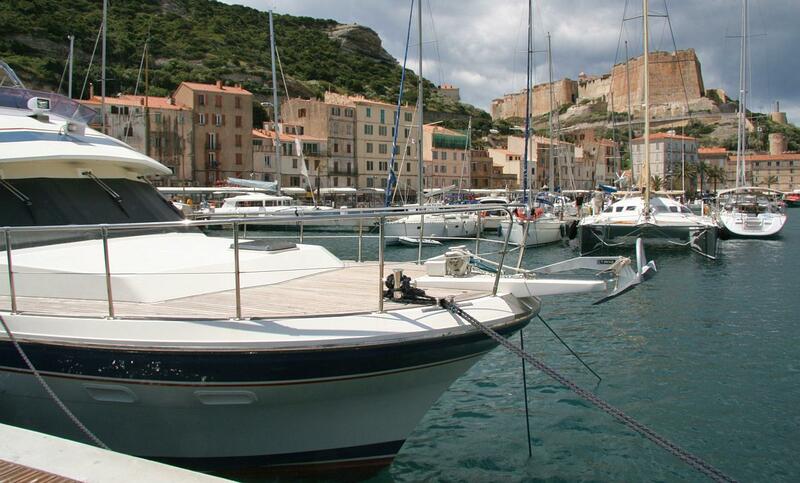 We return to Mahon in spring 2012 and continue our journey East across the Med: From Menorca to Alghero, along Sardinia's North coast to Olbia, visiting La Maddalena and the Costa Smeralda, finally across to Sicily. 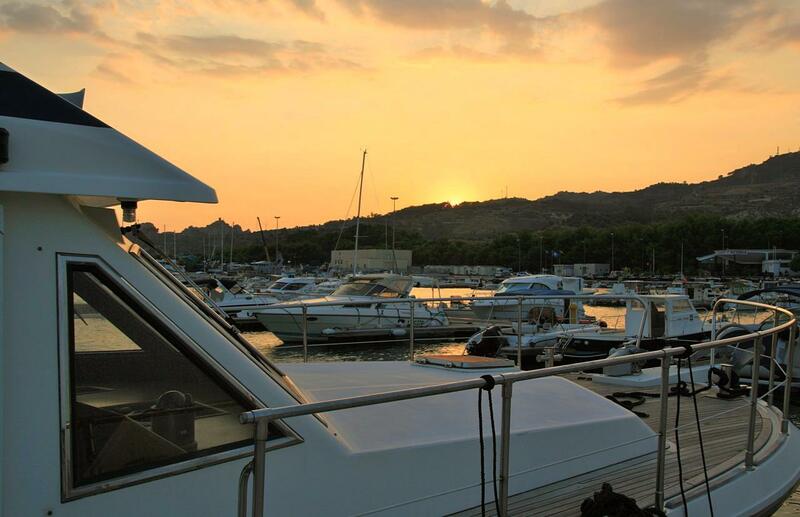 In July we return to the boat and spend a few days in and around Palermo. 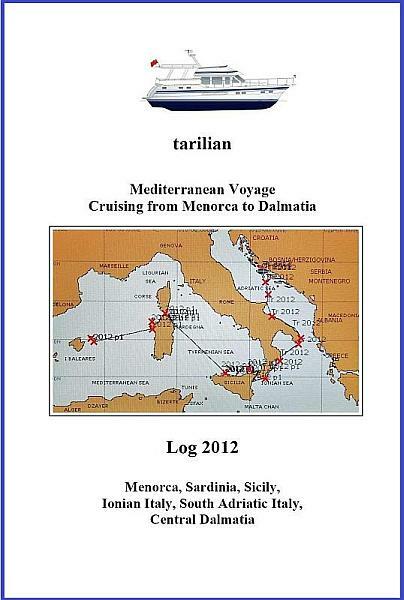 Log 2012 "Mediterranean Voyage" Part 1 (pdf 10MB). 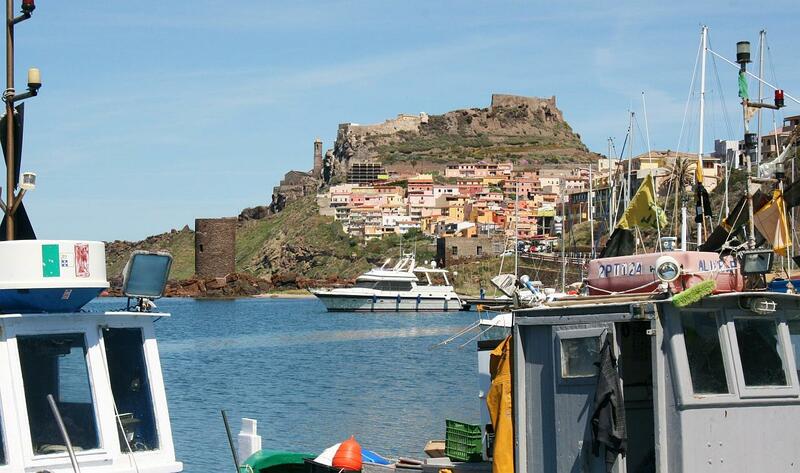 In August Jane and I return to Palermo to continue our cruise to the Aeolian islands and, through the Messina strait, to Sicily’s Etna region. Then along Italy's Ionian coast towards the Strait of Otranto, and following Italy’s Adriatic coast North. Finally, from Vieste, across the Adriatic sea to the Dalmatian islands and the mainland of Croatia, our target destination. 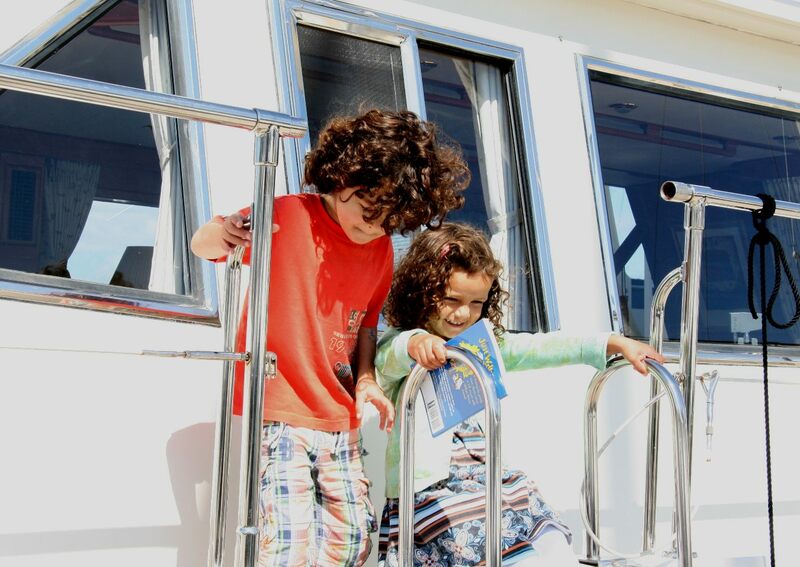 In early September we complete our journey on schedule, and berth Tarilian permanently in Central Dalmatia. 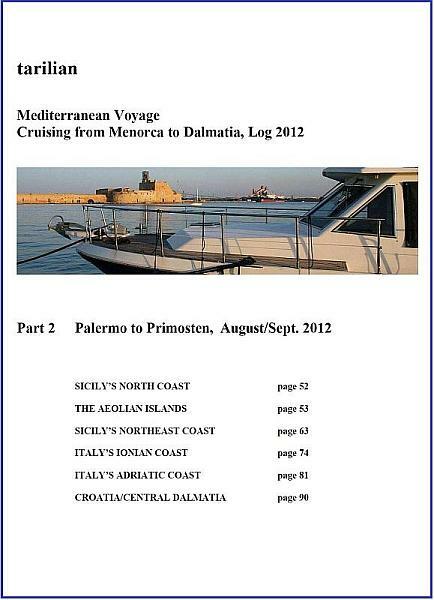 Log 2012 "Mediterranean Voyage" Part2 (pdf 10MB). 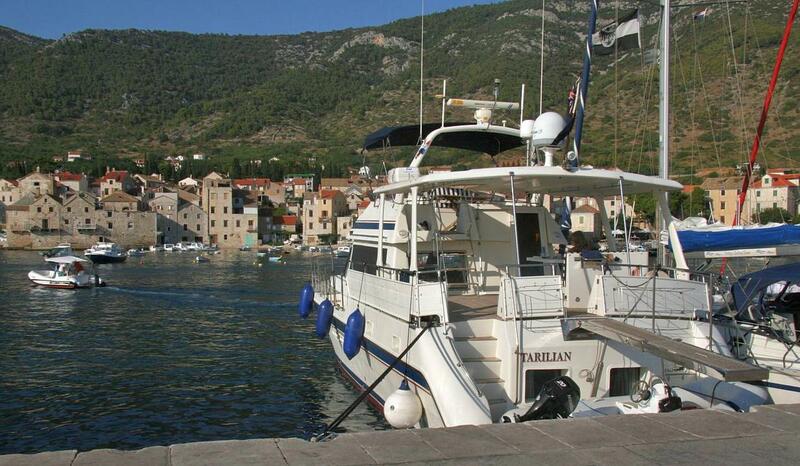 From autumn 2012 Tarilian is berthed at marina Kremik in Primosten, Croatia. Looking back to our outstanding boating season 2012, here are further impressions from ports visited en route. We have taken our boat from Falmouth to the Adriatic Sea on its own steam. The 'transfer voyage' of two exciting seasons has been completed successfully. ADRIATIC BOATING Croatia/ Dalmatian islands >> "Cruises 2013 - 2018 Dalmatia - Croatia / Montenegro"
back to << Cruise 2011 "Falmouth to the Med"
back to << Cruise 2012 "Mediterranean Voyage -from Menorca to Dalmatia"